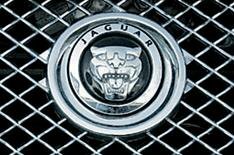 Jaguar: 'Judge us on our products' | What Car? Jaguar's boss Mike O'Driscoll has urged people to judge the company on its products and not on Jaguar Land Rover's plea for a state bail-out. O'Driscoll was speaking at a briefing on the company's two new 3.0-litre V6 diesel engines, which deliver improved performance and economy over the current 2.7 diesel. Jaguar will also unveil new V8 petrol engines at the Detroit motor show next week, as well as significant updates to two of its model ranges. 'We're in the middle of remaking Jaguar and we have a super future ahead of us,' said O'Driscoll. 'We are turning into an exclusive luxury car maker, building sporting saloons and sports cars. We are not trying to create a company that's enormous in terms of sales volumes. Our focus is on quality rather than quantity.